Whenever you think about buying a vacuum for your household or office, there are many things to consider. Sometimes, you may wonder if you really have to buy a new one or simply buy a refurbished or used vacuum. In this article, we answer the question: Is it a good idea to buy a used vacuum? Second-hand goods are on sale all over the world – from home appliances to clothes. They are loved and hated in equal measure. As with everything under the sun, there are advantages and disadvantages of buying used vacuums. So, should you buy a used vacuum? Vacuums are made of non-biodegradable material such as plastic. While most places have good waste management systems and institutions, some people just dispose of waste carelessly. So, getting a vacuum off someone’s hands before they decide to throw it away helps to conserve the environment. Also, buying a used vacuum means that less material is going to be used to produce a new one. Plastic is made from oil, while harmful gases are produced during such manufacturing processes. Therefore, buying a second-hand vacuum promotes sustainability, reduces waste and mitigates pollution. This is one of the main reasons people buy used goods. 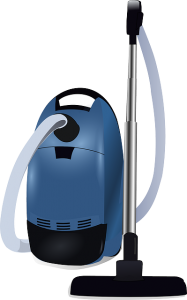 Depending on how long a vacuum has been in use, the price can be even as low as 20% of the original price. This can go a long way in ensuring that you don’t overstretch your budget. The money you save can be used for something else. If the vacuum has not been abused (used with little or no maintenance), you’ll be getting a very good deal. Imagine enjoying the same performance of a new vacuum at just a fraction of the price! This is very much possible because not everyone selling their vacuum hates its performance. Actually, most people just want to upgrade to a newer model. I don’t think anyone buys a used vacuum with the intention of reselling. However, you may decide that you want to replace your used vacuum with a new one or to buy a different model. In such circumstances, you are likely to sell it at a price that is almost the same as what you paid. So, you will end up making a very insignificant loss compared to a person who bought a new vacuum. In rare cases, you may end up making a profit if you have replaced some parts. Of course, you can buy a used vacuum online. However, it is advisable to visit an actual store where you can test the performance of the vacuum and check out its state. This way, you end up helping the local businesses and the community to thrive. This is very obvious. Buying a used vacuum means that you may have to contend with sub-par performance. This may be due to age, worn out parts, or lack of maintenance. To bring it back to the performance level close to that of a new vacuum, you have to clean the vacuum and its filters thoroughly. Also, you may need to take it for repairs and/or replacement of some parts. This may end up costing a bit more than you had budgeted for. Ultimately, you may wish that you just bought a new vacuum in the first place. Every product has an approximate lifespan. Let’s say you buy a vacuum that’s expected to last for 10 years but the owner has used it for 5 years. Obviously, you don’t expect to use it for 10 years. It may serve you for two or three years before you need to buy a replacement. New vacuums rarely have issues. So, when shopping for a new vacuum, you just check the price vis-à-vis performance/features. However, before settling on a specific used vacuum, you will take so long checking it out and deciding which shortcomings you can live with. When buying a new vacuum, you may have the option of selecting various aspects like the color. However, most sellers of used vacuums have one of each model. In this case, what you see is what you get. Most used items are sold on an ‘as is where is’ basis, leaving no room for your tastes and preferences. Most new vacuums have warranty coverage for various parts and/or labor. A few manufacturers have money-back guarantees. It goes without saying that you will not get this luxury with used vacuums. In case the item is defective, you may end up wishing that you just went and bought a new vacuum. The truth is that you can land a gem of a vacuum at a very low price. In fact, you can get a Dyson or a Shark for less than 100 bucks while some new ones cost hundreds. However, by buying a used vacuum, remember that there are a few things you have to forego, for example, longevity and warranty. Used bagless vacuums tend to have clogs and may end up costing a lot more to clean and repair. So, we advise that if you have to buy a second-hand vacuum, consider bagged options. You can get good used bagged vacuums like Miele, Panasonic, Oreck, or Sebo for only a few bucks. Some of the best new bagged vacuums may be a bit pricey. If you feel that the negatives of used vacuums outweigh the positives, you can go for certified refurbished vacuums. A vacuum that is certified refurbished means that the manufacturer has repaired it before putting it back on sale. So, you get a good reconditioned product, customer support, and sometimes good warranty coverage.